got the last major rib installed today. prep work to finish glassing the interior begins as soon as I get back from a short vacation to the east coast. I’m off to see my father’s memorial show at the Woods-Gerry gallery at RISD in Providence. 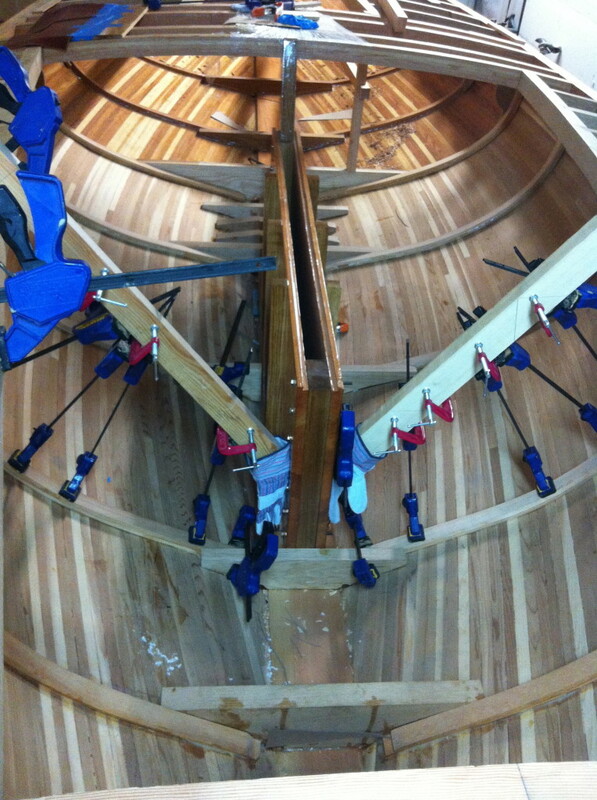 This entry was posted in Art, Boat building, Personal on September 17, 2013 by psgouros.